Clashes with Ukrainian police at Ukrainian President Petro Poroshenko's administration in the center of Kyiv have been reported after allegedly Automaidan activists who demand real lustration, or the purge of officials at law-enforcement agencies, on Friday set fire to car tires, according to Ukrainian news channel 112.ua. 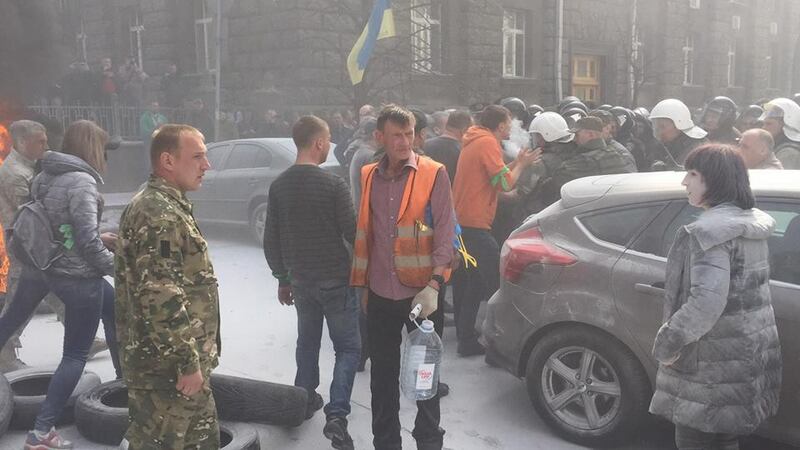 Police tried to extinguish the burning tires, 112.ua wrote. The protesters demand that Poroshenko come out to them. They have driven a pickup van with the gallows as a symbol of the lustration close to the president's office, Ukrainian news service TSN reported. 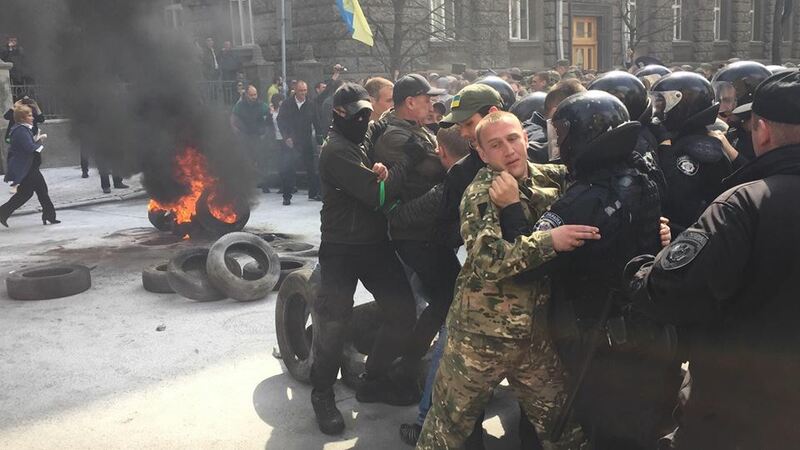 Video footage and images made by witnesses and posted in social networks show that several hundred policemen have formed a cordon at the presidential administration's building to block the way for the protesters. The nearby street is covered with white powder of a fire extinguisher and the tires continue burning. Опубликовано Irina Lisovaya 8 апреля 2016 г. Later the Automaidan's official Facebook page issued a statement saying that NGO Automaidan has nothing to do with the protest outside the Presidential Administration's building on Friday. "We understand the demands of the participants in the protest rally, we even support some of them, but unfortunately the protesters include dubious persons, pseudo-Automaidan members whose sincerity we do not believe in due to their involvement in paid-for activities in the past. They were excluded from our organization for this," the statement said. Опубликовано АвтоМайдан - AutoMaidan 8 апреля 2016 г. 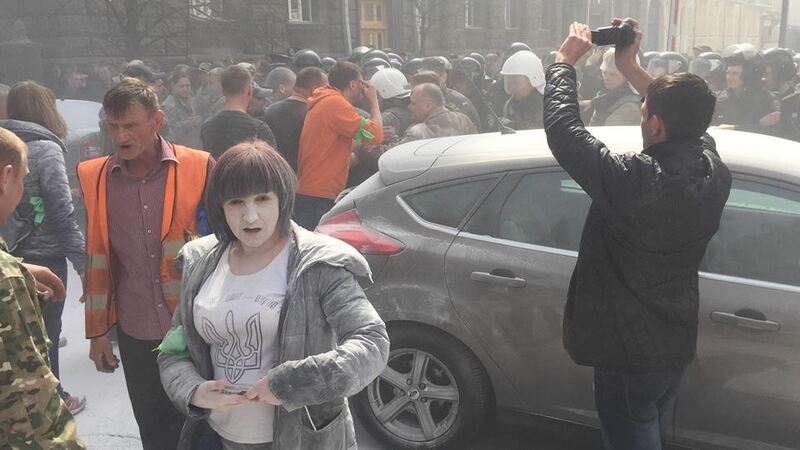 The Automaidan published its "black list" of the expelled members, including Serhiy Koba, who was reportedly seen in the April 8 protest event.